The results of a national survey in the United States that was carried out by the worldwide leader in technology protection services, Asurion, has a few surprises for those who hold the popular perception that only young adults and adolescents are dependent on their new and old cell phones. 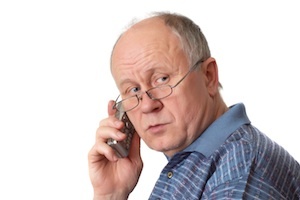 Of a thousand customers who were chosen at random, 32 percent of those aged between 60 and 64 admitted that cell phones were their main method of communication and that being without them would result in huge disruption to their lives. The survey also revealed that those between 50 and 54 years of age likewise view the cell phone as their main method of communication and tremendous disruption would result of losing one. The finding that older adults are embracing the cellular revolution tally with similar results found by the Internet & American Life Project from the respected Pew Research Center, which report in February this year, found that 84 percent of adults between the ages of 57 and 65 own a cell phone.